* Read more: boltingbits.com/bosq-many-hands-earth-night/ * Watch on YouTube: youtu.be/z1pzRWgYg4w * Pre-order: bit.ly/2HBjJ7g On April 19th, DJs for Climate Action (DJS4CA) present the second annual EARTH NIGHT; an initiative harnessing the energy of the global nightlife scene to raise awareness and funds for climate action. Taking place in the week leading up to Earth Day, the team will release an impressive music compilation and sponsor parties in Brooklyn, Berlin and beyond to shine light on the challenge facing our planet and the unique role musicians can play. 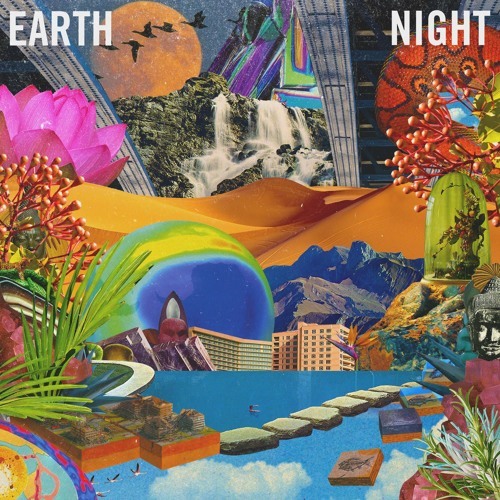 This year DJS4CA launch EARTH NIGHT RECORDS with a compilation that gathers new music from over 50 artists from 12 countries including Simon Meija (Bomba Estereo), Infinity Ink, Nicola Cruz, Little Boots, and many others. It will become available for pre-order exclusively through Bandcamp starting March 11th, and tracks will drop every week leading up to the full release on 4/19. To show our support for such an important initiative, we are sharing one of the songs from the compilation today. By happy chance, it just so happens to be from Boltings Bits fave Bosq! Titled "Many Hands," the Colombian-based maestro describes this tune as, "[...] a mix of rhythms and styles from around the world, and a representation of many simple pieces coming together to create a solution even when the setbacks mean you have to start over and rebuild again […]” Poignant, yet resolute, this quote not only encapsulates the feel of the track but also represents the valiant efforts of the DJs and organizers from around the globe who are joining forces to raise awareness around climate change - hopefully compelling governments and corporations alike to implement solutions to solve this imminent problem. Having launched just last year, you can rest assured that this will not be the last EARTH NIGHT and that DJS4CA are going to keep fighting the good fight until this battle is won!